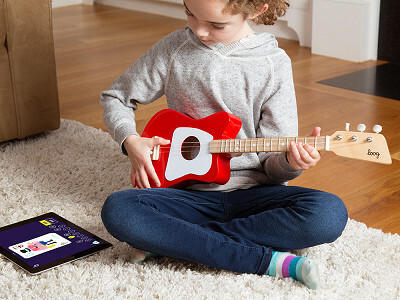 These kids’ guitars are a great induction for little musicians. 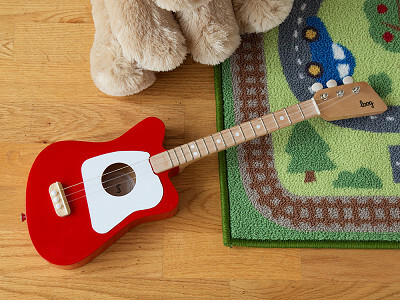 Loog Guitars are far from toys—their colorful real-wood designs stay true to the quality of a traditional guitar. But they have three strings instead of six and a slimmer neck so kids as young as three can start strumming. There’s an electric guitar and an acoustic one, letting musicians-in-the-making choose their instrument of choice. And they can pick from a songbook that has everything from Rolling Stones classics to more contemporary tunes by Bruno Marz and Taylor Swift. 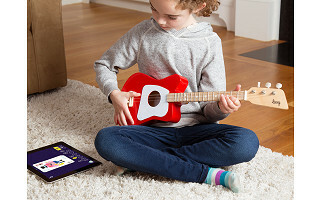 Both guitar designs have a playful app with adorable characters that guide kids in their learning. 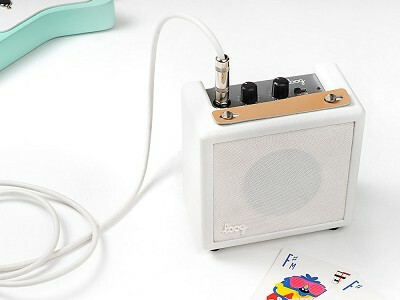 It can hear the notes they play and, whenever they hit the right chords, it unlocks new levels and songs. 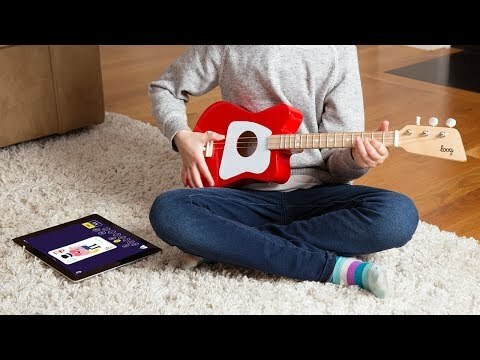 It’s all made easy, with flashcards and video lessons from a Grammy award winner. 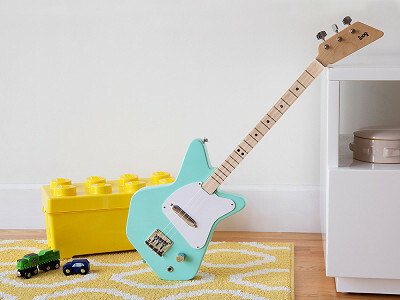 We also really like that the Loog Guitar is great practice before kids graduate into big-kid, six-string guitars. It’s a patient and excited teacher for avid little learners. Hello everyone! I'm proud to introduce Loog Guitars to The Grommet. I'd be happy to answer any questions you have!